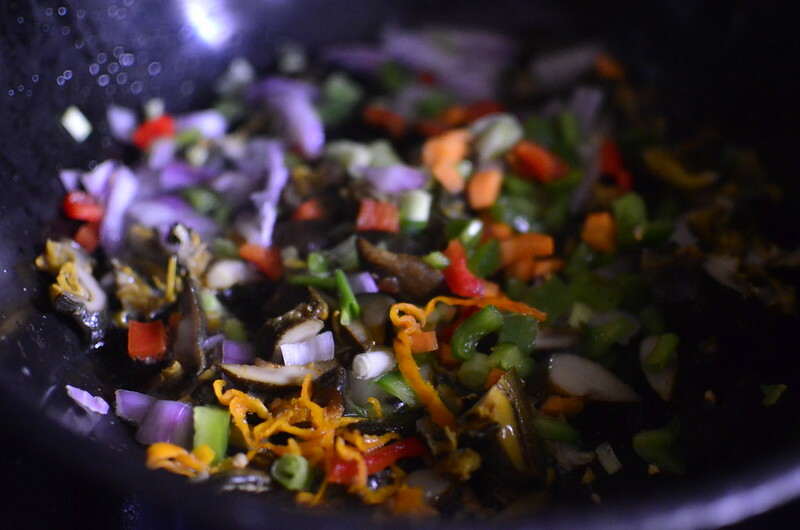 Sunday’s recipe, early….so you can shop all you like and prep for Sunday. 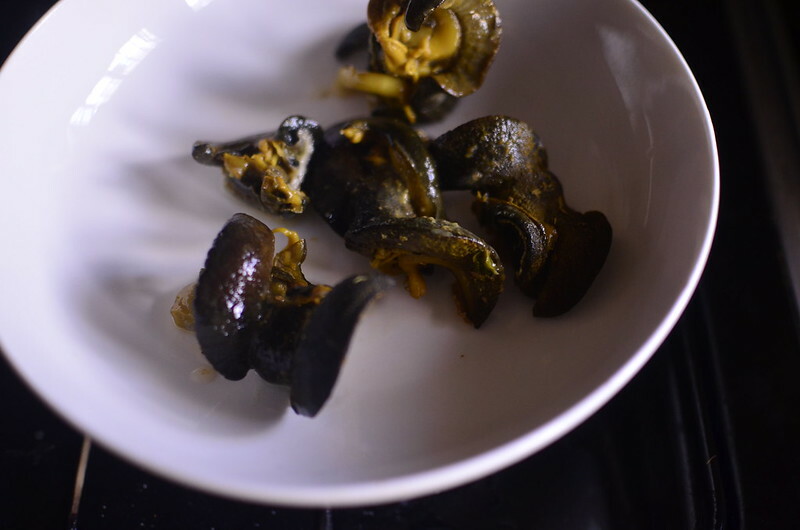 I love the texture of Nigerian snails – the crunch and the krum krum and because I’d done the Snail Jollof version, it was easy to come up with this switch. 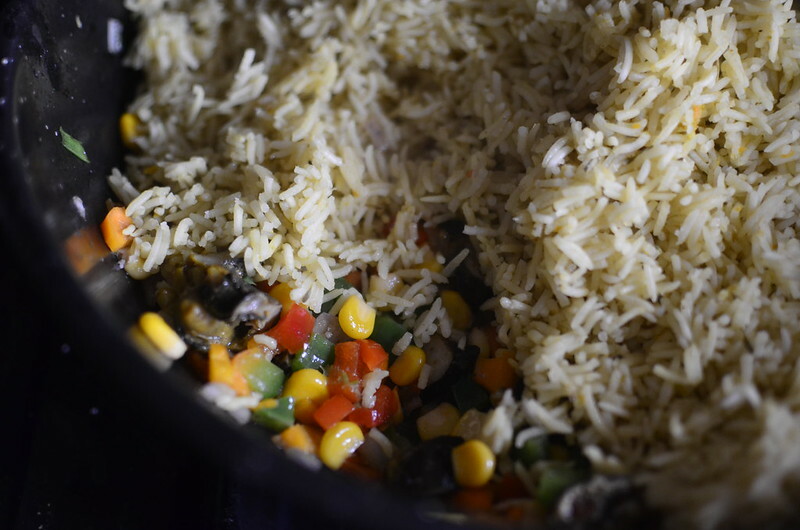 The rice – already par-cooked in stock went into the pan with the vegetables which got stirred. 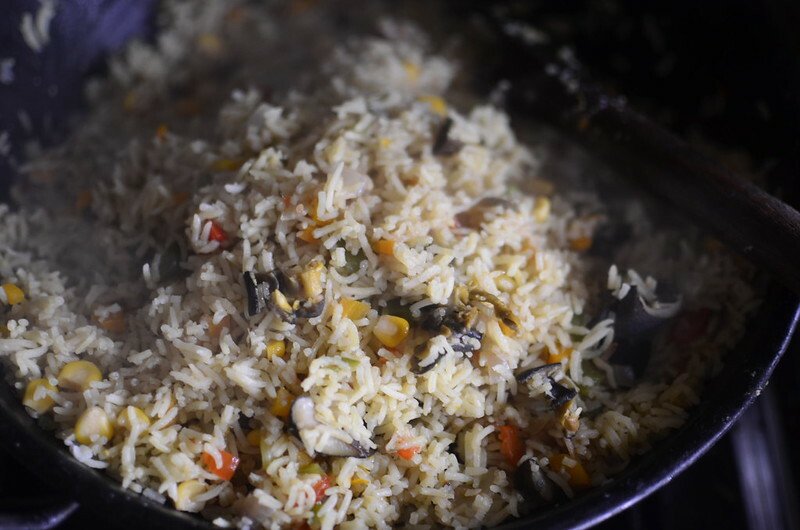 Some more stock was added, heat set to low and it cooked away till the rice was cooked through. 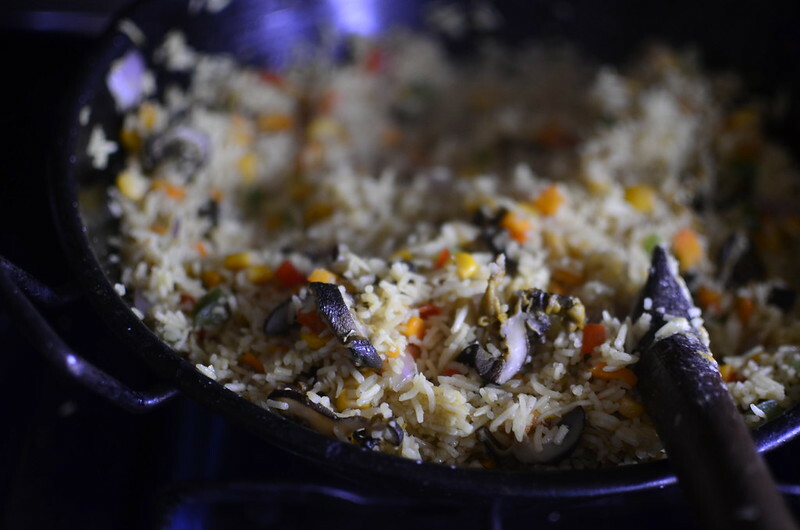 Basically, I followed the fried rice recipe taught me by master/ guru/ sensei Timi. 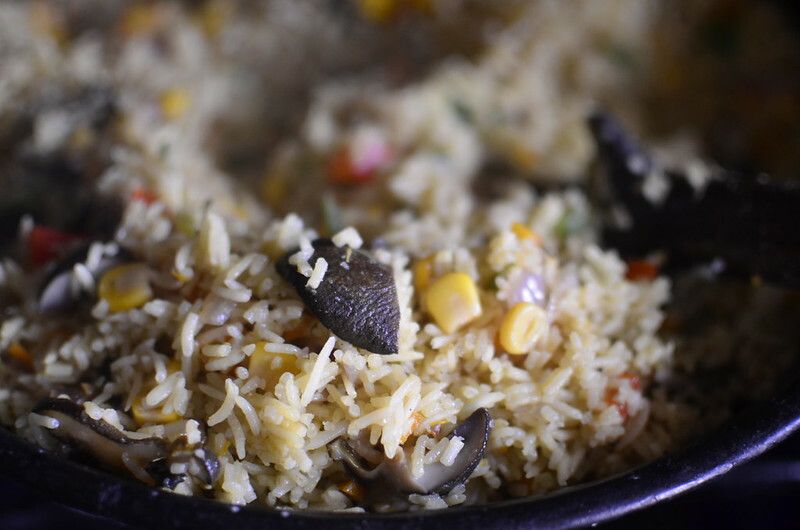 I loved the slight crunch of the snails, mixed with the vegetables and the rice. Definitely perfect for Sunday lunch.